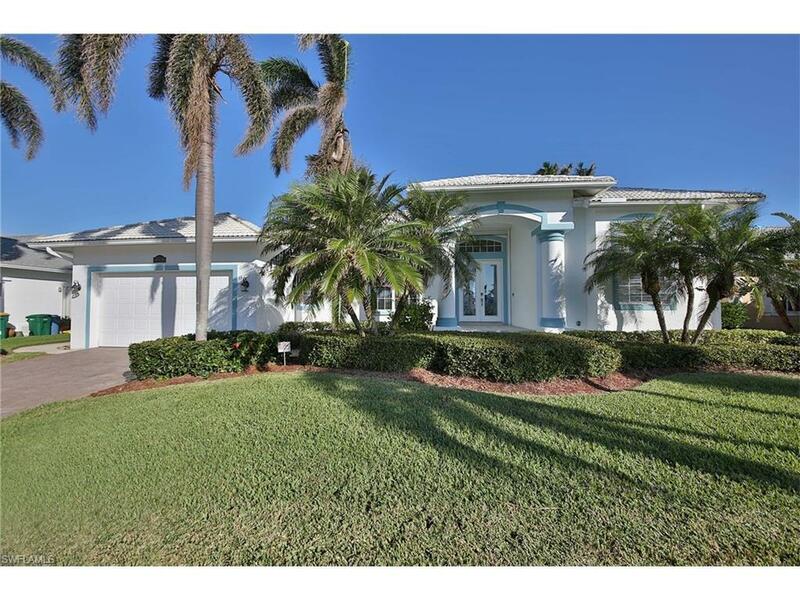 1150 Cara Ct, Marco Island, FL 34145 (MLS #217058905) :: Clausen Properties, Inc. 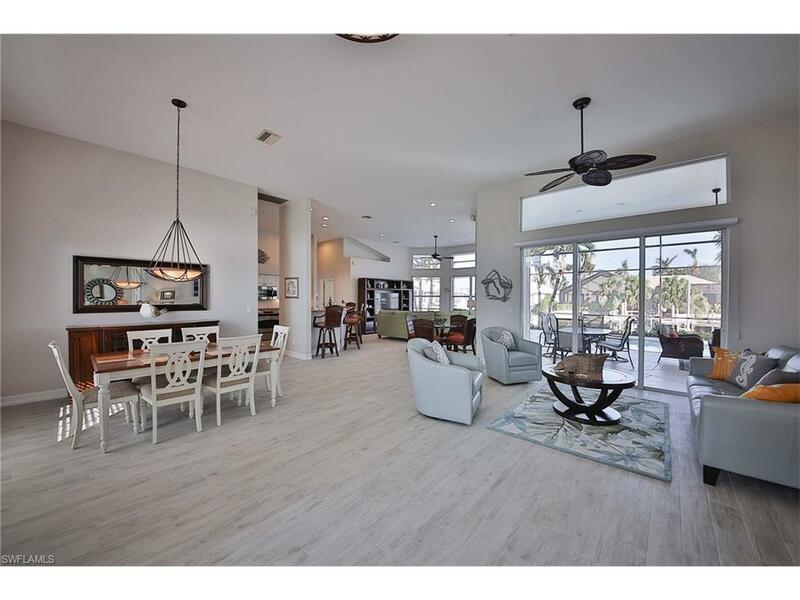 Beautifully furnished & updated waterfront residence with an open concept design and soaring ceilings, perfect for entertaining. Newly painted throughout. Multiple gathering & dining areas surround the kitchen with two cozy guestrooms one with a queen bed & the second with a set of twins. Nice coastal style guest bathroom with pool access off the living room. Updated kitchen with breakfast bar, stainless steel appliances, granite counters & spacious pantry. Private master bedroom features a king bed with large walk-in closet and expansive ensuite bathroom featuring dual sinks, soaking tub, and upgraded shower with coastal flairs. Lanai space outside with cheery furniture. Recently installed screen enclosure and electric hurricane shutters that outline a large pool extended deck area. 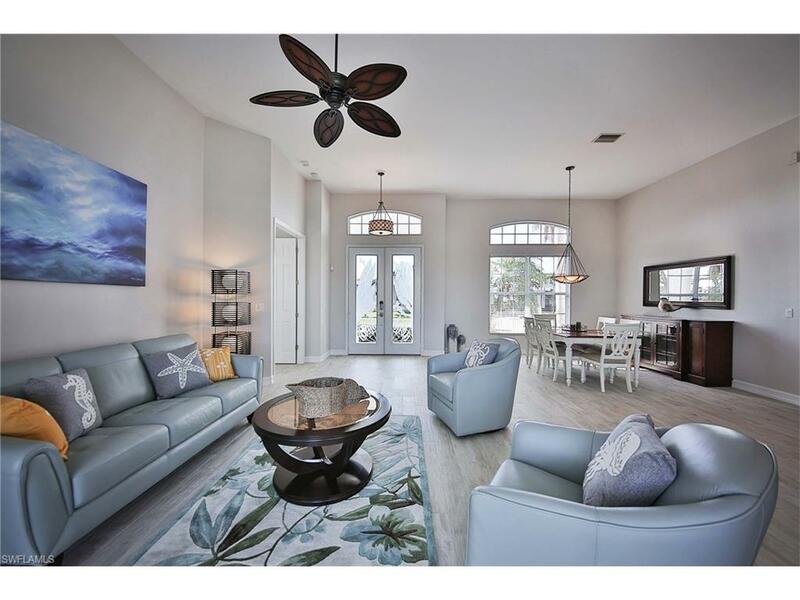 A short boat ride to the Gulf awaits from a vinyl dock with converging water views, 10,000lb boat lift and 2,000lb jet ski lift are available for use. Convenient pathways lead from dock to driveway and into the two-car garage. 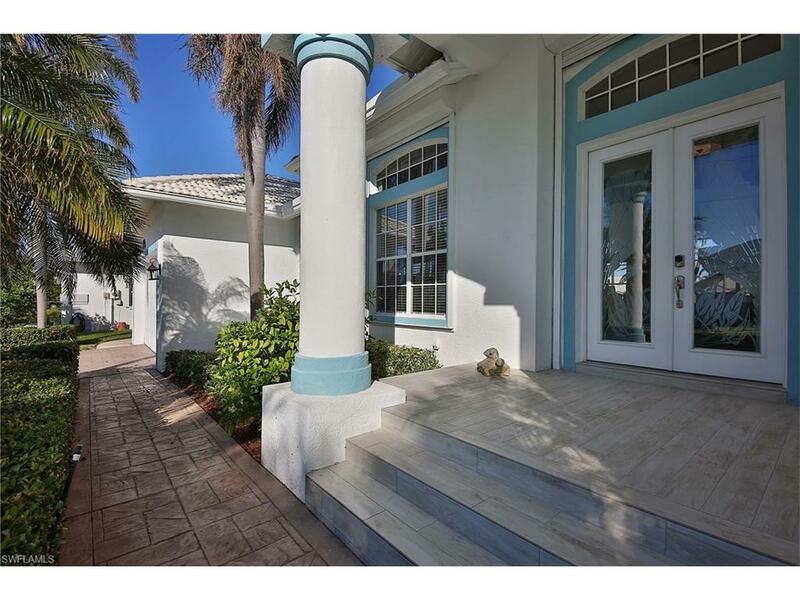 New landscaping with manicured gardens & privacy hedges complete this tropical island residence. Information contained herein deemed reliable but not guaranteed.